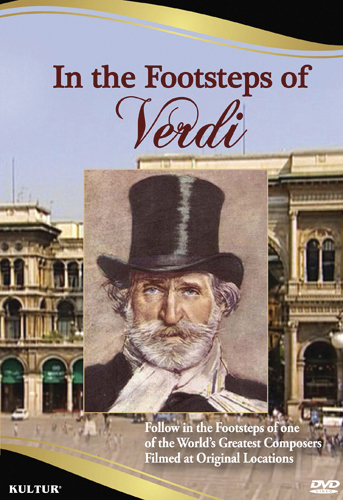 From humble beginnings, Giuseppe Verdi rose to became Italy’s greatest composer. His music revolutionized opera as we know it, and his revolutionary politics helped bring about the unified Italy that we know today. In his lifetime, his name alone became a political rallying cry. 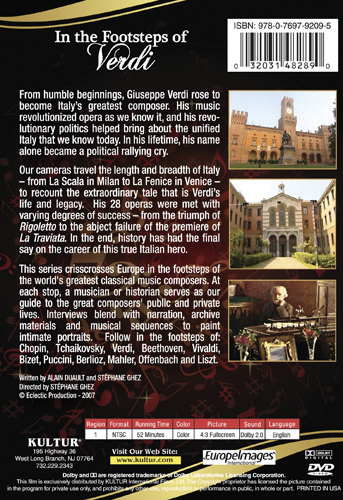 Our cameras travel the length and breadth of Italy – from La Scala in Milan to La Fenice in Venice – to recount the extraordinary tale that is Verdi’s life and legacy. His 28 operas were met with varying degrees of success – from the triumph of Rigoletto to the abject failure of the premiere of La Traviata. In the end, history has had the final say on the career of this true Italian hero.